Since the pinnacle of the Roman empire, mankind has mastered over nature by building roads, coliseums, and even pools. A custom concrete pool is sometimes the only way make an imaginary shape a reality. Concrete pools take a bit longer to build, but are more durable and have some benefits that neither Vinyl or Fiberglass pools can provide. As we mention on our home page, we won't show you pictures of pools built by some other pool builder. If we didn't build it, we'll mention it near the picture. 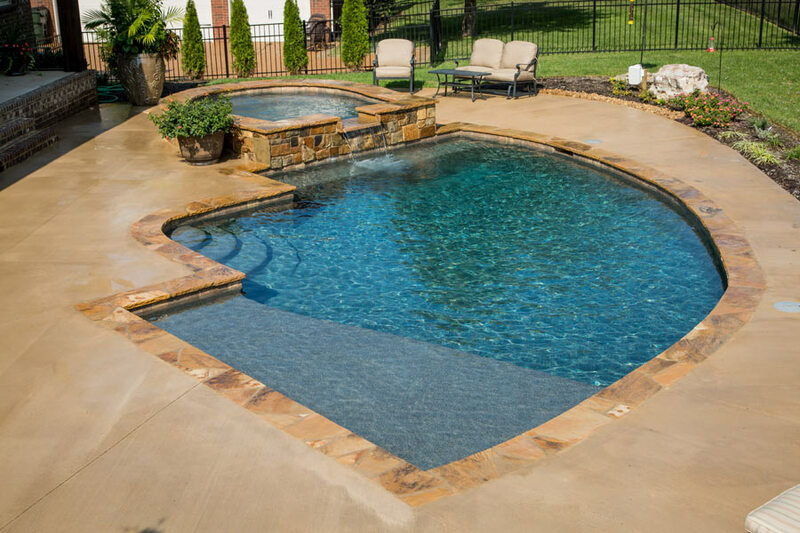 Our Ultimate Guide To Inground Pools walks you through the process of selecting the perfect inground pool for your home & family. Please enjoy these concrete pool pictures, and let us know if you have questions about any kind of pool we build. Send us your questions about Concrete Pools!